Let me introduce an up-and-coming artist. 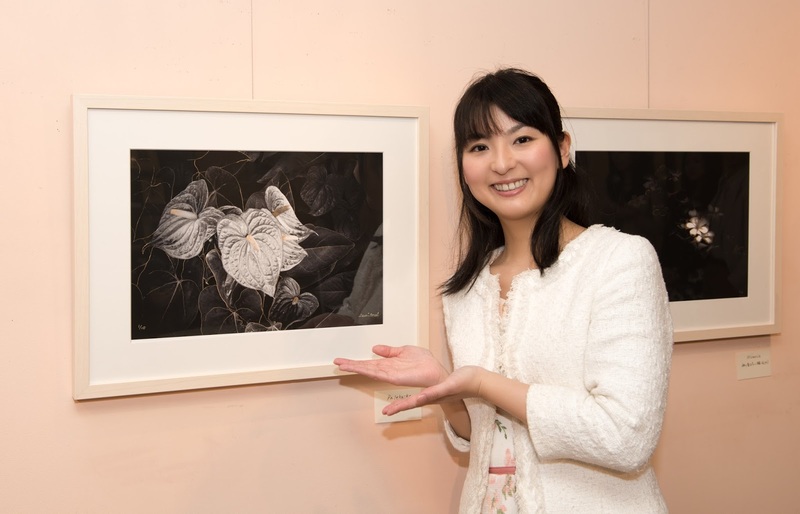 Saori Anzai served as a manager of Island Gallery for a long time, and has started a career as an artist. I met her at the gallery on the last day with the gallery. The gallery was holding a going-away party for her, and surprisingly, her latest works were decorating one of the walls at the gallery. 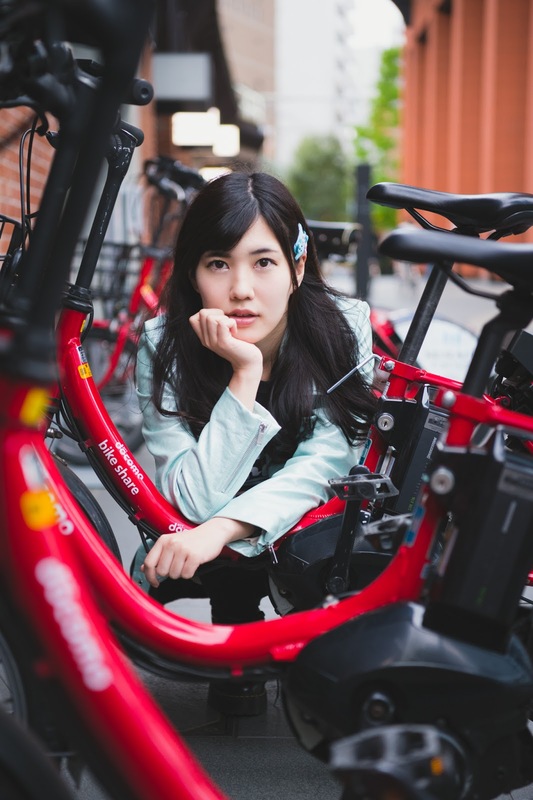 Her creations are a combination of photography and drawing. They are so exquisite that the guests bought them all in a few hours! My photo exhibition, which runs through Sun., April 19 is sponsored by Maruman. It has provided the gallery with the photographic paper. 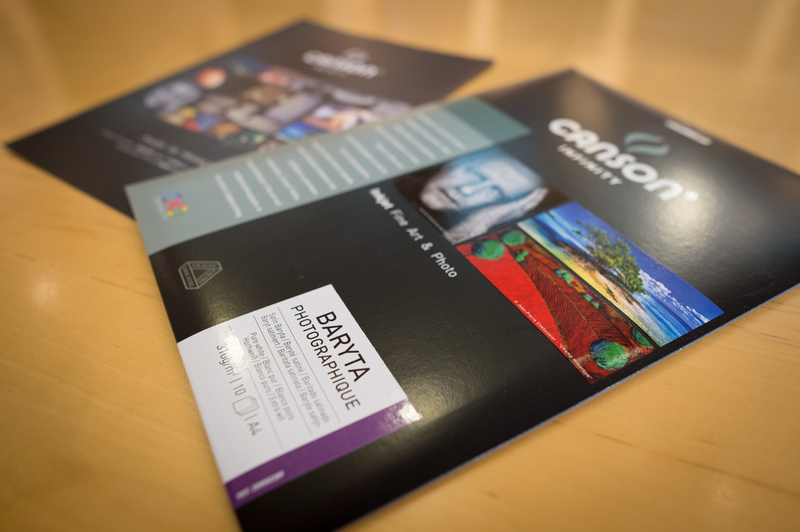 We use Photosatin Premium for the four largest prints (B2 size), and Baryta Photographique for 22 pieces of A2 prints. The face of both paper is very silky (not too glossy) and is perfect for depicting the tone of nights in Tokyo. In the summer of 2013, I used the paper for the first time. At first, I told the gallery that I didn't want to join the exhibition unless the blue gradation in my photo looked as I wanted it to be. But soon after I saw the fist test print, I found out that that kind of concern was pointless, because the blue appeared perfectly on the paper. Since then, I always asked the gallery to use one of those types when I need to print my photos. 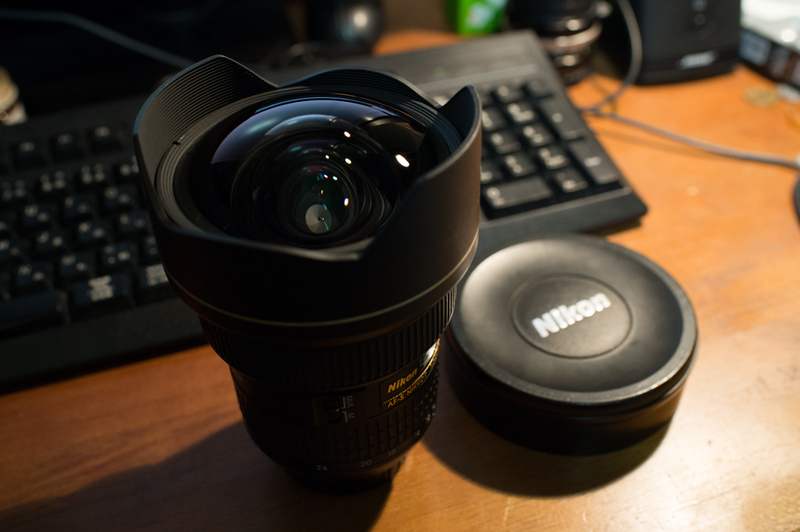 I used this Nikkor AF-S 14-24mm f/2.8G ED most often when I took the photos for my latest exhibition. Tamron or Canon has released great wide-angle lenses this year, but to me, this is the king of king. The city view through this lens is always overwhelming. And like this huge front lens. You can't attach a protective filter. I'm always worrying about hitting it against something hard. It's very thrilling, and I love that thrill. I decided to get a filter holder, an ND filter, a gradation ND filter, and a reverse gradation ND filter after I finished my photo event. I want to try the new gear as soon as possible.